Senior instructors at the JKA developed the Five Dojo Kun. We repeat these five precepts out loud after each training session. 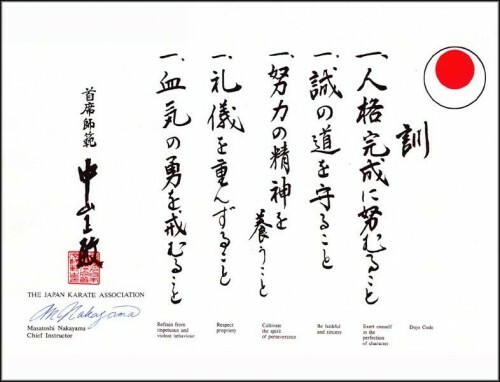 This process reminds us of the right attitude, frame of mind and virtues to strive for both within and outside the dojo.